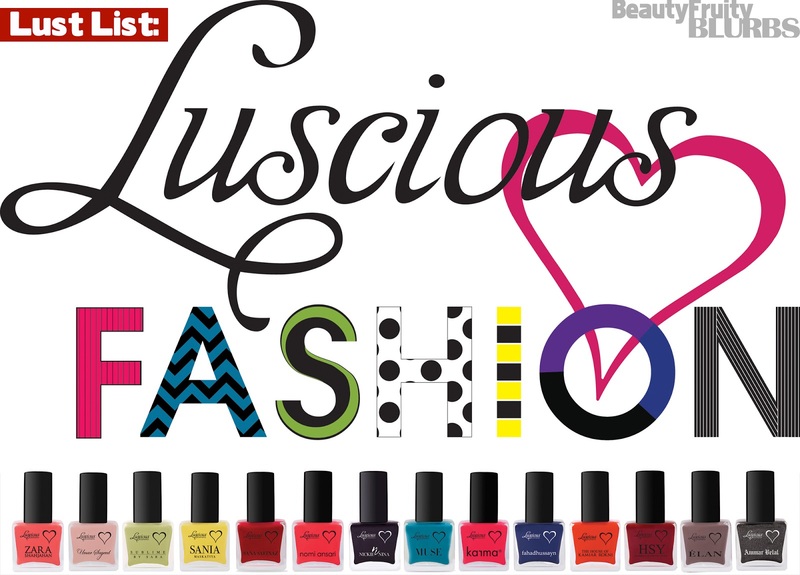 BeautyFruityBlurbs: Lust List: Luscious Cosmetics Designer Nail Polish Collaboration! Lust List: Luscious Cosmetics Designer Nail Polish Collaboration! Wow!! If you have been following my blog, you know that I love my nail-polishes and my nails are almost always painted! Luscious is one of my favourite local cosmetic brands and they have come up with a ground-breaking collaboration with 14 of the hottest, most talented, local designers; each designer has their own signature shade for S/S 13! This is to celebrate Luscious' 5th anniversary. The campaign is called "Luscious Loves Fashion". What a superb idea. OPI does a lot of collaborations but to see a local twist on this phenomenon is truly amazing. I have tried Luscious nail polishes before and they are great. Cannot wait to get my hands on some (or all) of these fabulous shades!! What shade is your favourite?